Chances are, you’re left with the basics (cleanser, toner, moisturizer, eye cream, mask, and exfoliant) and just a few extras for your emergency skincare arsenal. That’s the Mario Method for ya: simple and easy as 1-2-3. Never underestimate the power of basics: they’re your foundation and all you really need. Too much old stuff and you have yourself an overcrowded medicine cabinet. It’s always about what works the most efficiently for you. No jingles, just a straightforward regimen that does the job well. How’s that for end-of-summer cleaning? I have all of those except for eye cream 🙁 I don’t know which eye cream is best. 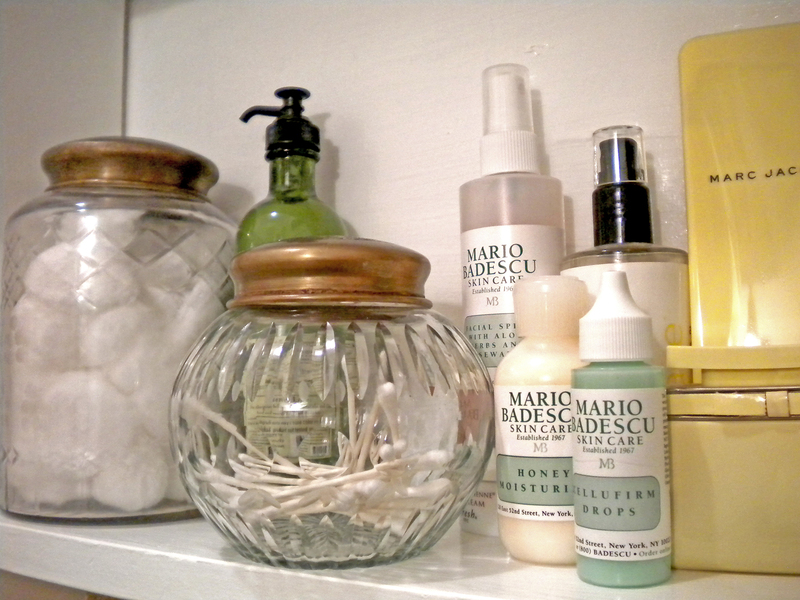 My toner, cleanser, and facial mist — all from mario badescu. I have the healing and soothing mask, and the drying cream too! Basics is indeed best!